“Having decided to build and subsequently moved to Whiteman Edge over 3 years ago we are, and continue to be a part of what we believe is a growing and enjoyable community to live. Andrew and I are British expats albeit soon to sit our Australian Citizenship and are parents to our children Joseph and Alexandria. Our fifth member of the family is rather crazy and energetic albeit crazy labrador puppy Benny. 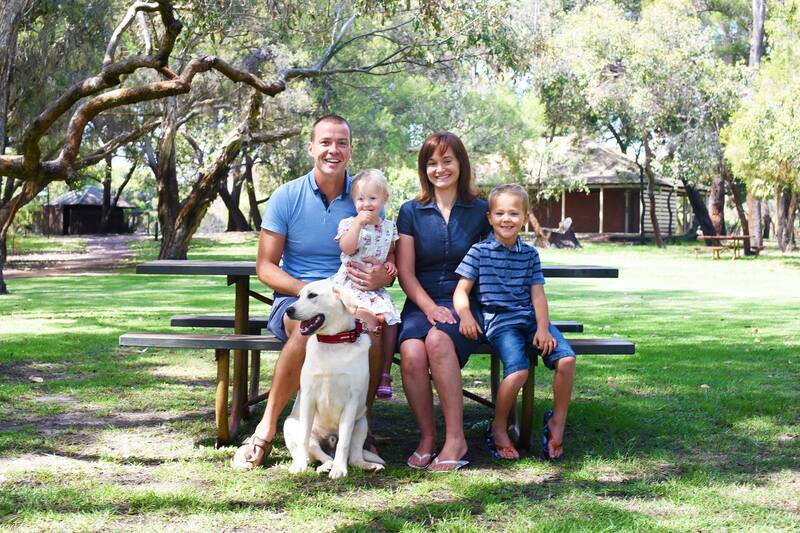 Our family is heavily involved in local sports clubs Ellenbrook Rabbitohs and Ellenbrook United Football Club. Andrew both coaches rugby and soccer as well as playing with Joseph following in his dad’s footsteps. Alexandria is more of gym monkey who enjoys climbing pretty much anything she can so will be completely at home on the new playspace both outside the cafe and at Livvi’s Place. Livvi’s Cafe is part of a network of social enterprise cafes that provide hands on experience and employment to young people with disabilities. Livvi’s Cafe is supported by Stockland to bring the local community to life with regular events. Andrew and Nikki are planning lots of great activities like story time and mums and bubs groups and a weekly timed fun run. Follow all the action and activities on Facebook.